Nymphenburg was the ‘out of town’ summer palace for the Bavarian royals. The palace and its associated buildings cover a huge area and reminded us of similar European palaces like Versailles near Paris and Schönbrunn in Vienna. A visit here is much more than just the palace though with large landscaped gardens to enjoy, covering just under 500 acres. There’s no doubt that this place is and its accompanying gardens are one of the most impressive sights of Munich. You’ll need a whole day to get the most out of your visit. Access to the house is by audio tour. The palace has been extended over the years but the tour covers most of the significant rooms including the centrepiece Great Hall. 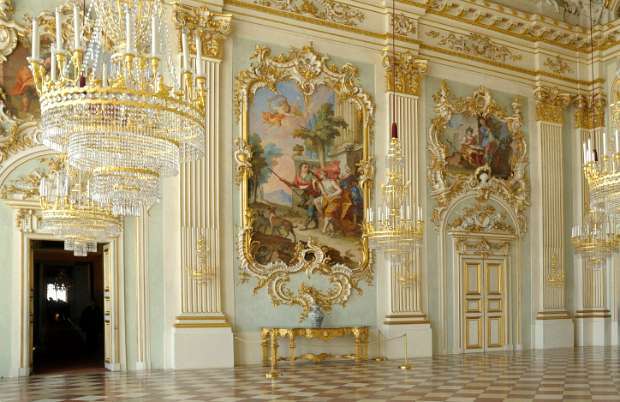 This main entrance room hasn’t really changes since Nymphenburg was built and it’s packed with ornate features. It’s the most photographed room in the palace and when you see it, you’ll understand why. 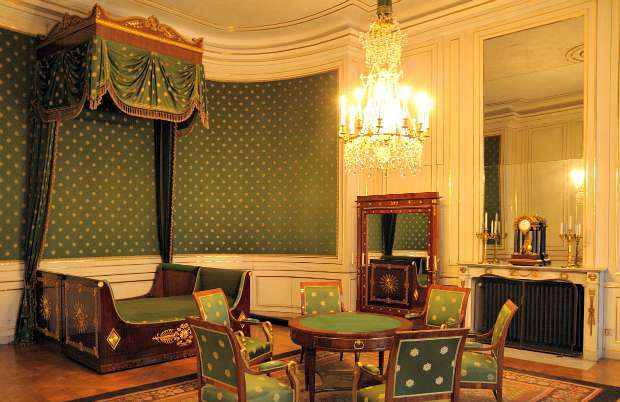 You’ll also see rooms in the North Apartment, the South Apartment and the Queen’s Apartment along with the beautiful palace chapel. 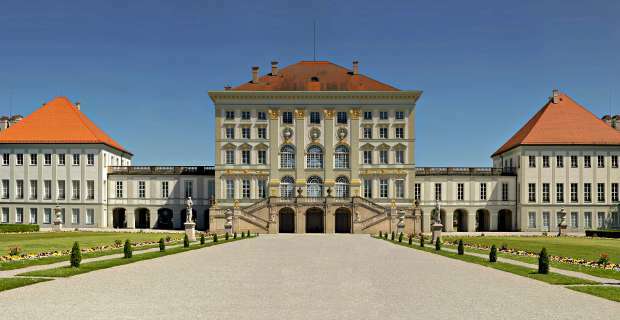 Nymphenburg Palace is open daily from 9am to 6pm (April to 15 October) and from 10am to 4pm (October to March). The combination ticket which allows access to the pavilions in the gardens too is 11.50 Euros for adults (2015 prices). 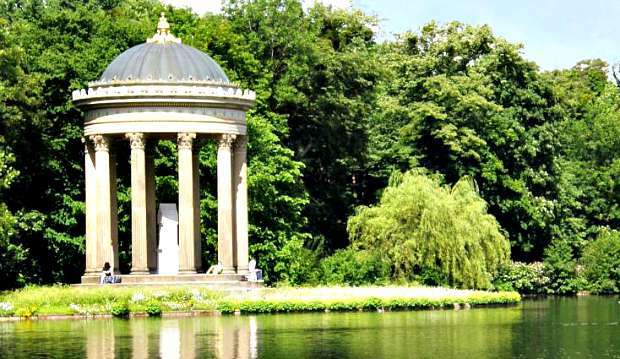 Nymphenburg Park is in the west part of Munich around 15 minutes from the city centre and is easy to reach by public transport. All S-Bahn lines except no. 7 to “Laim”, then bus no. 51 to the “Schloss Nymphenburg” stop or underground line U1 to “Rotkreuzplatz”, then tram no. 12 or 17 to the “Schloss Nymphenburg” stop. The 2 hour Munich open top bus tour stops here too.